OPEN HOUSE-GLEN EAGLE-1582 FALKLAND RD E-SAT 1/7- 1:00-3:00 P.M. 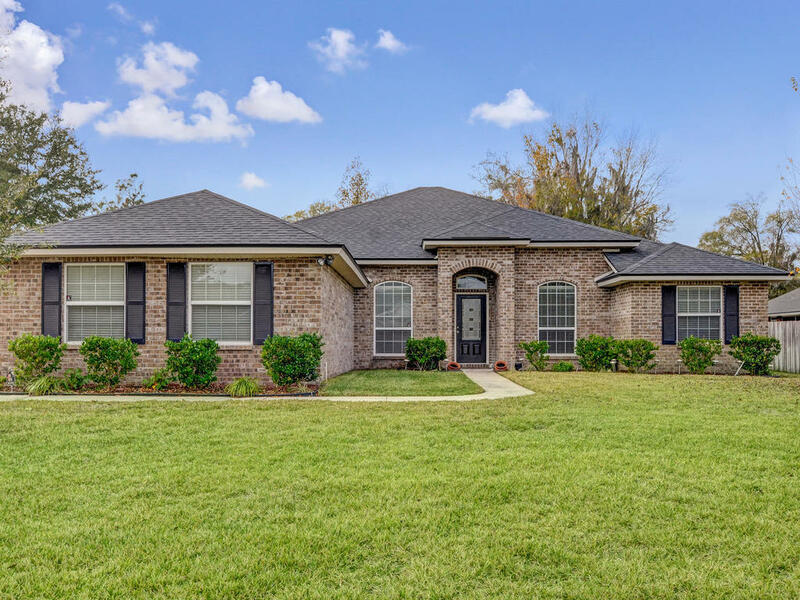 Spacious, all brick home with 4 bedrooms, 3 full baths and a fenced back yard. Located in sought after Glen Eagle, this homes features an open floor plan, great kitchen with tons of cabinetry & counter space, pantry, Corian counters and stainless steel appliances. Cozy family room has sliding glass doors that lead out onto screened lanai which overlooks large backyard. The split floor plan fosters privacy in the Master Suite that has his/hers walk-in closets, huge soaking tub and tile shower. Conveniently located near the library, fitness center, schools, shopping and NAS Jax. Make your appointment today to see this gem!